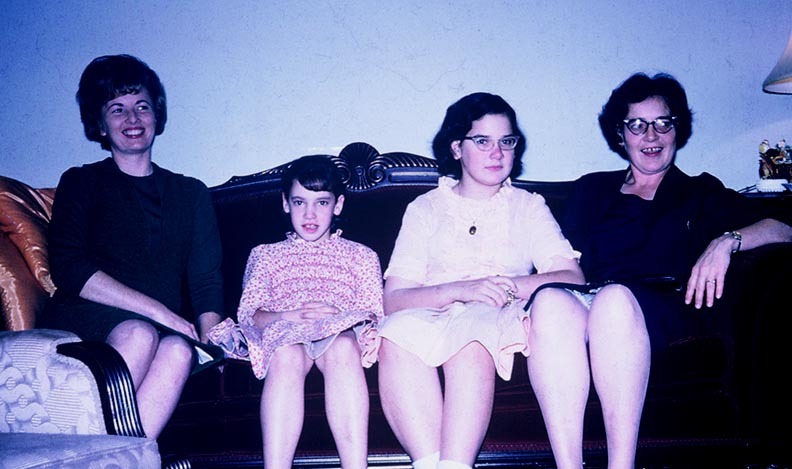 Betty Duck Byrd, Liz Cogbill, Lucy Cogbill, and Alice Cogbill. Note: Liz and Lucy are Alice's daughters. Photo scan by Lucy Cogbill ~ Added to the website by Mary Kay Dancy Smith.